The Pub at JA's is a warm, friendly destination that is family orientated and serves the 'ole pub standards as well as some surprising innovative dishes. The pub is a memorial to the patriarch of the Heneghan Family, Jack Anthony Heneghan. Jack was a NYC fireman who rose to the rank of Battalion Chief and you'll see some of his NYFD memorabilia on the fireplace wall in the pub. As you walk through the door from the pub to the dining room you'll get the feeling of walking into quite a different dining experience. The dining room is a well appointed room with picturesque photos of Ireland on its walls. The menu, which was established by our consulting Chef Nicole Roarke, and has been enhanced by our Executive Chef Phil Weinstein will surprise with its variety of authentic American cuisine. Both the pub and the dining room are supplied with produce and grass-fed beef from the HeneghanFarm in upstate Coxsackie, NY. 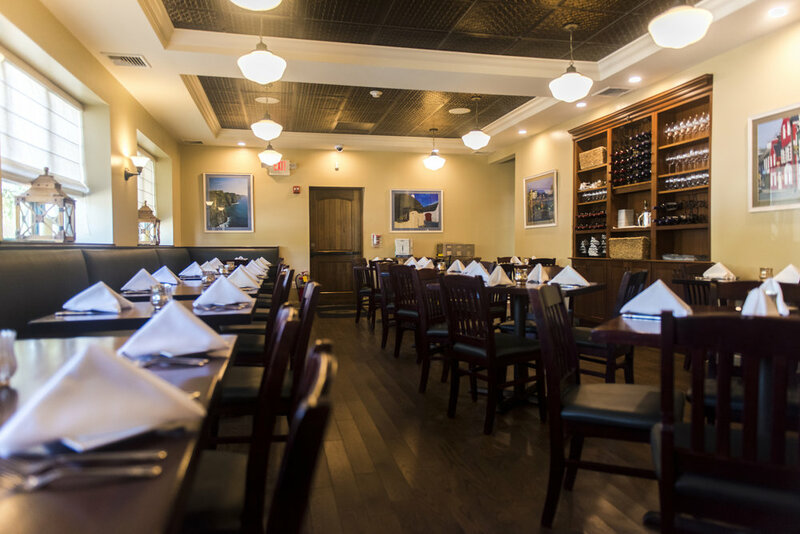 Heneghan’s Tavern welcomes guests to enjoy its contemporary American cuisine, warm hospitality, and personal service in beautiful Point Lookout, NY. Chef Phil Weinsten’s seasonal menu consists of elegant dishes with a rustic influence that showcase the restaurant's relationships with Heneghan’s Farm in Coxsackie, NY and local purveyors. The restaurant can be enjoyed through two distinct dining experiences: the Tavern and the Dining Room. The Tavern serves an à la carte menu in a casual, walk-in setting with a designated pub menu. The Dining Room offers a more refined regional menu with an à la carte option at lunch during the summer season. get A full box of produce Straight from our farm every week!